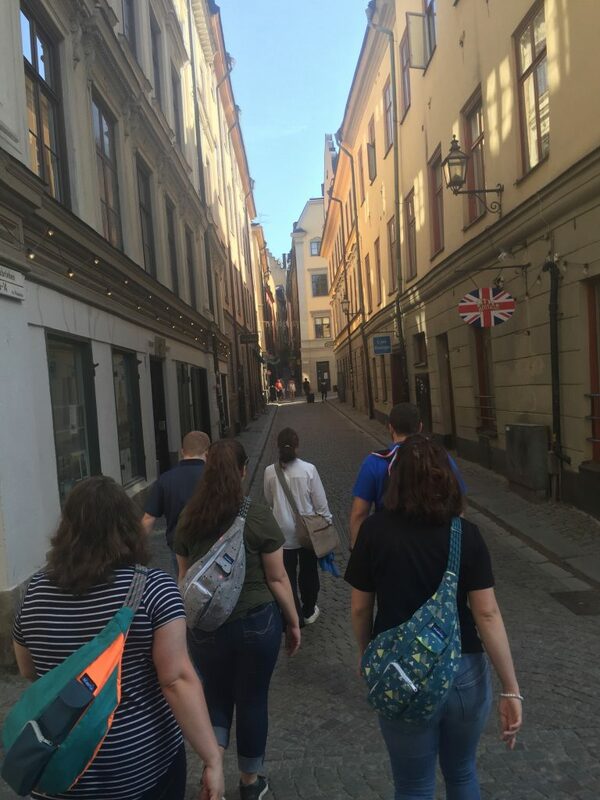 We began today bright and early by taking the subway to Gamla Stan, or the Old Town, for a walking tour. Normally we would have taken the bus, but the Stockhom Marathon was today! The tour of Stockholm’s Old Town was beautiful. After the tour we rode the ferry from Gamla Stan to the Vasa Ship Museum. 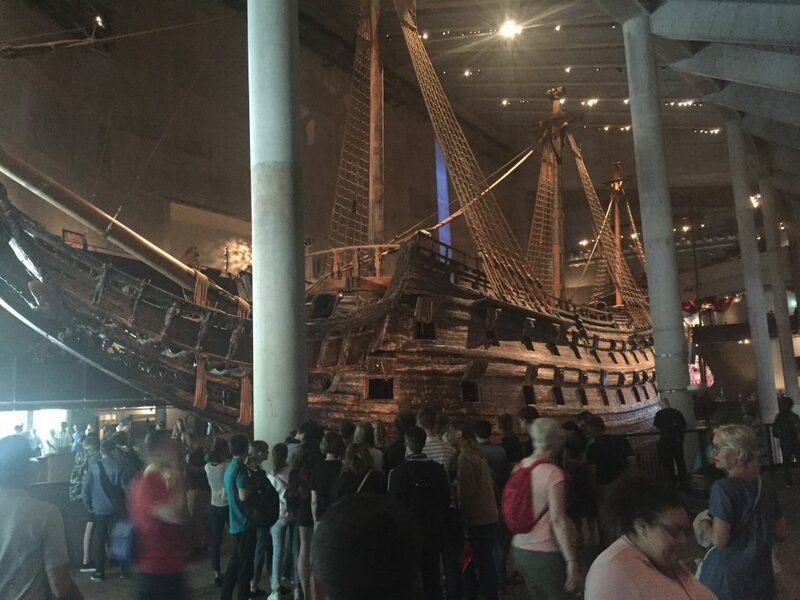 The Vasa Ship sank in the 17th century. It made it about 20 minutes into the harbor and then sank. 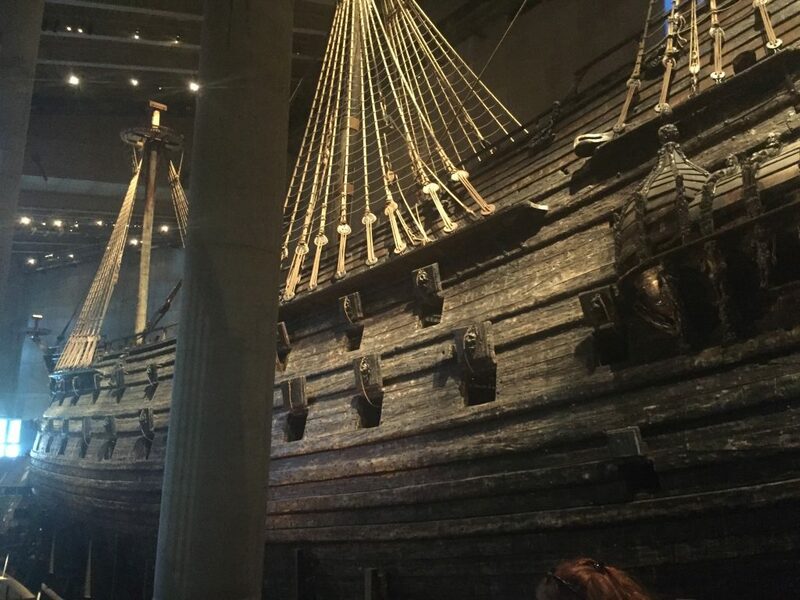 In true Swedish fashion it was raised 300 years later and restored. 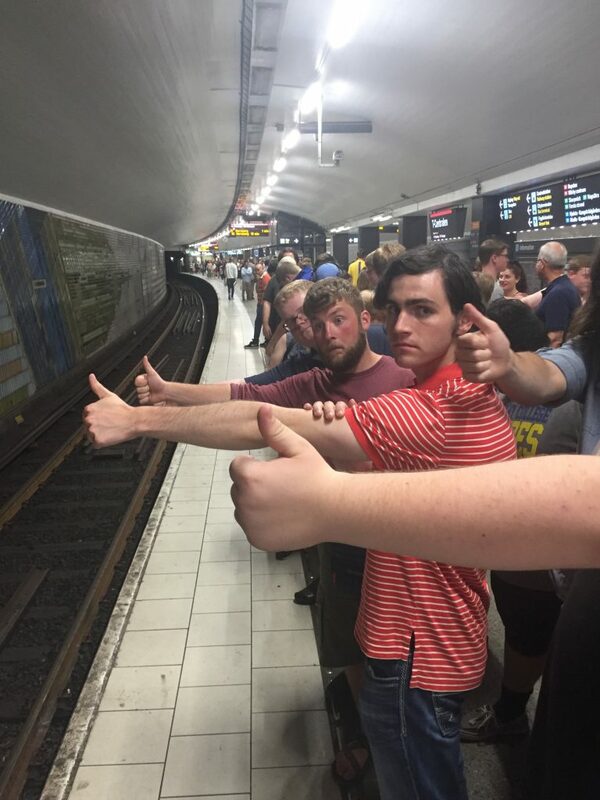 It is now one of the main tourist attractions in the City of Stockholm. After another ferry ride and some lunch in Gamla Stan we were off to our final concert of the tour, in the Herman Palm Church in Faringso. But first we had to set up the bells and have a devotion and group building activity. 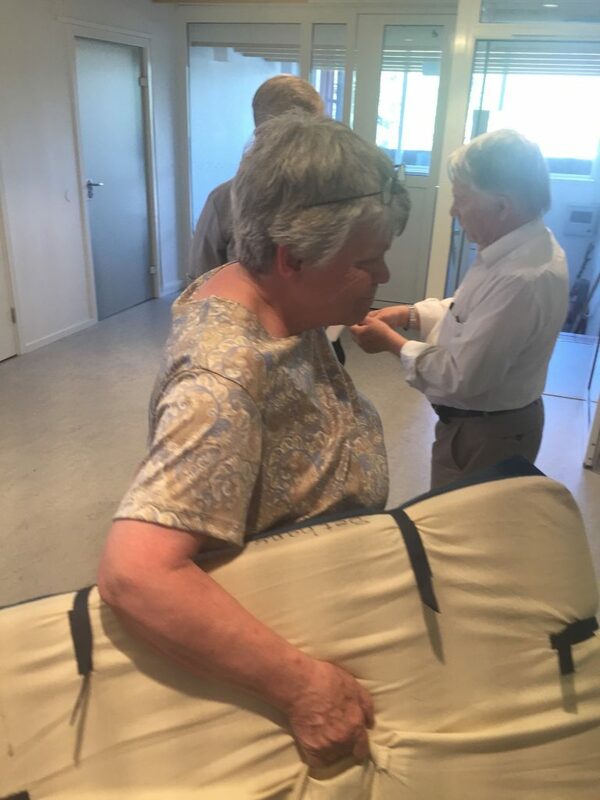 Everyone pitches in on our tours. Servant leadership at its best! 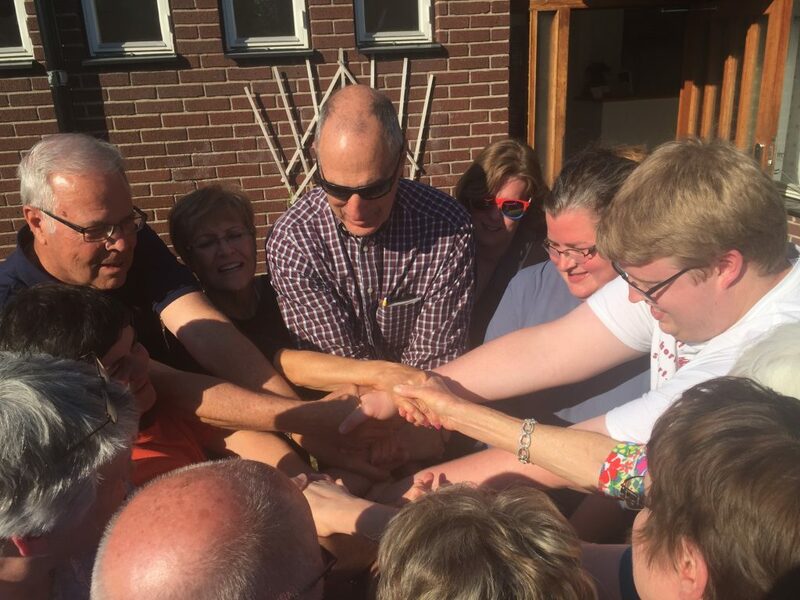 The Alumni and Friends work together in a group building exercise. The concert was a great success. A former Bud Pearsson Professor of Swedish Studies at Bethany, Jimmy Sjoblom, was in attendance. It was his home town! 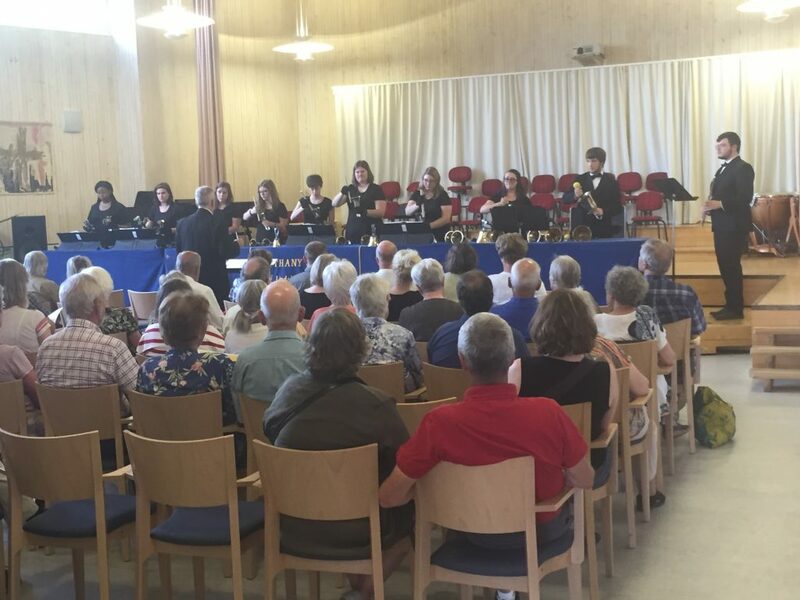 The handbells performed an outstanding set. 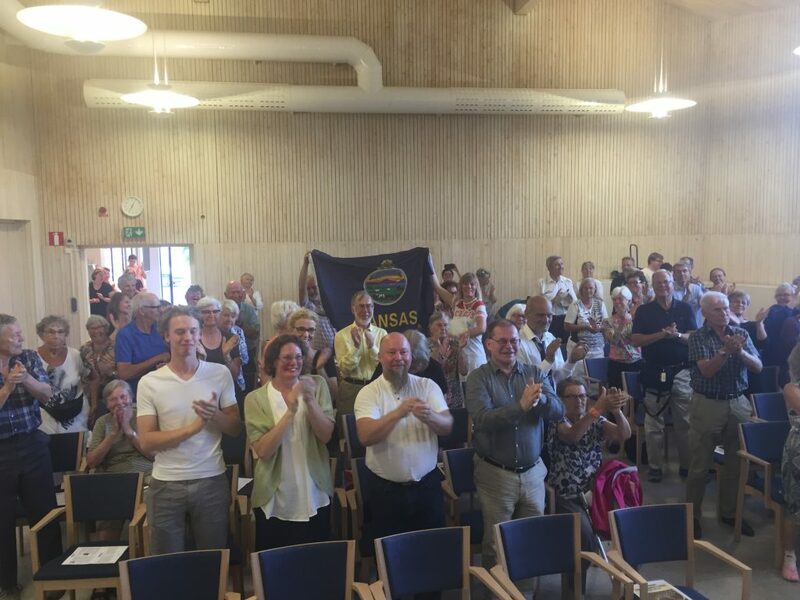 At the end of the concert, during the standing ovation, a small group held up a flag of the State of Kansas. It turns out the woman (who was also wearing a K.C. Chiefs shirt) had lived in Overland Park for two years! 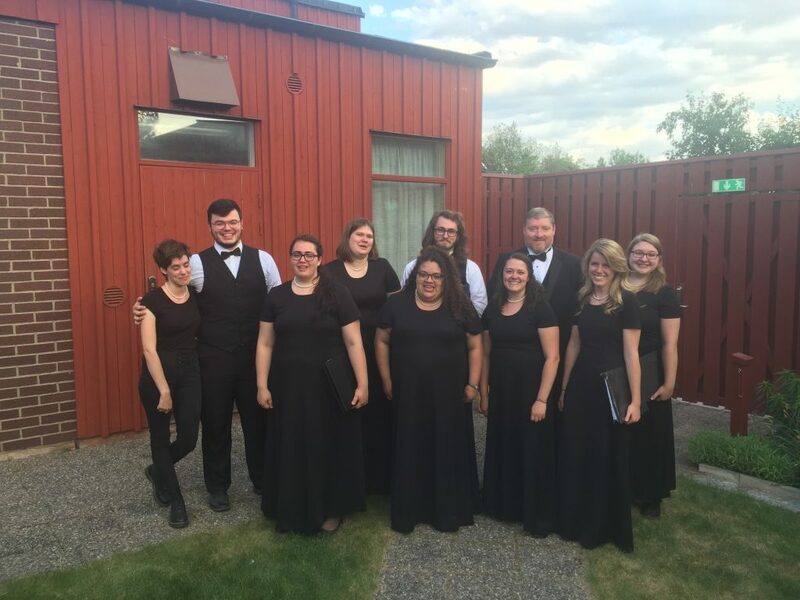 It was the final concert as a Bethany Swede for nine special young people. 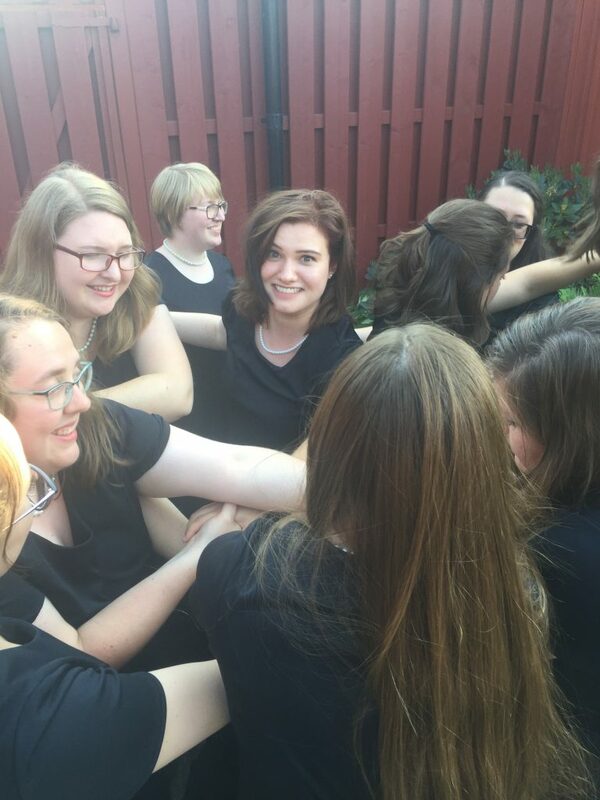 We all had a difficult time holding back tears during our last songs. We capped off the night with a special end-of-tour meal at a BBQ place. 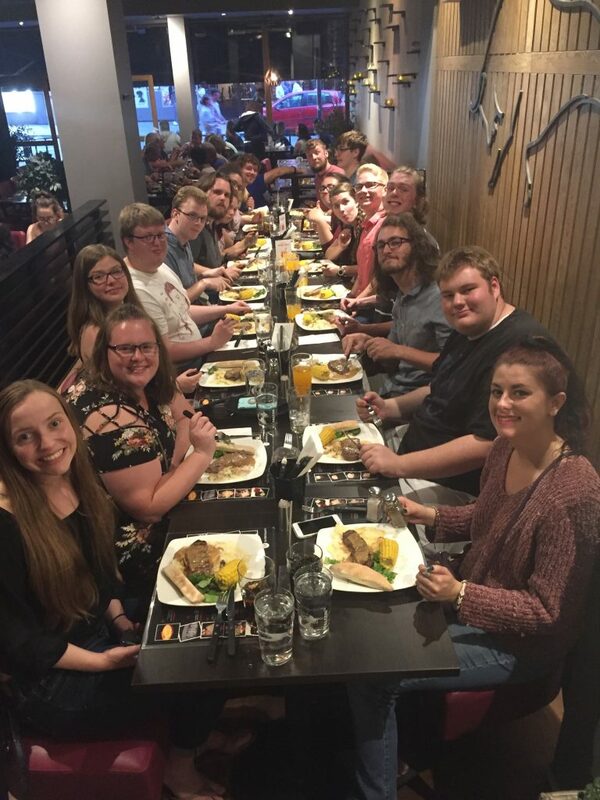 Steaks all around! 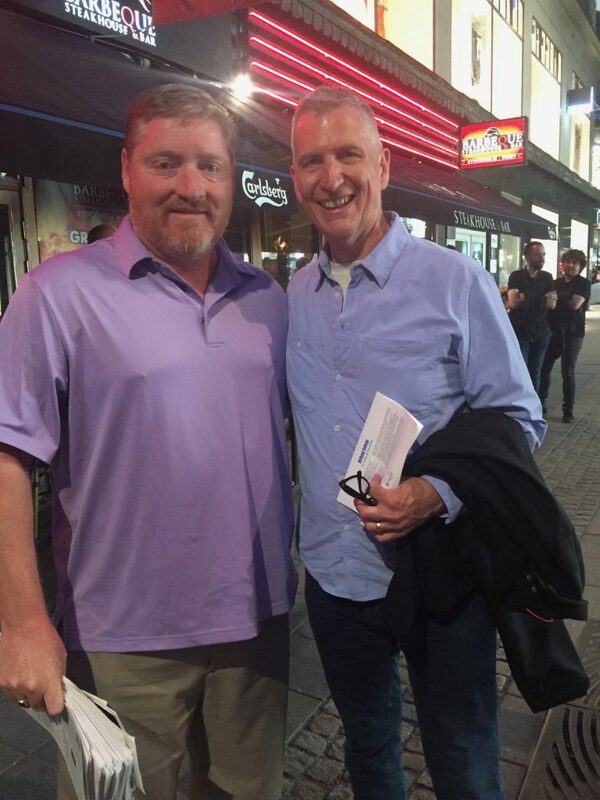 A funny coincidence, after supper we ran into Jon Hurty, Director of Choral Activities at Augustana (Rock Island). Augustana is also on tour and in Stockholm! Jon is a Bethany graduate who sang under Dr. Copley. Now it is off to bed. We are calling an “audible” in the morning. 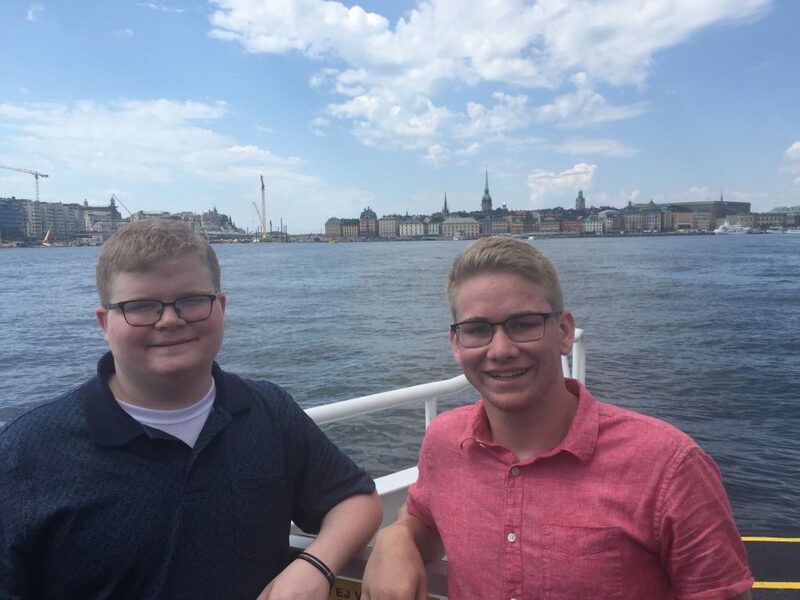 Since we could not find a church at which to sing, we are taking a ferry ride to an island near Finland (actually a part of Finland) where we will have our own devotionals and even communion, lead by Pastor Bill Peterson, who is on the trip with us. If we can’t go to church we’ll bring the church to us. . . on a beach. Thank you so much for sharing this special adventure with us. I wished I could’ve been there. Have fun on Åland. It is a neat island with some pretty pink granite along the coast. A Finnish island I believe, but they speak Swedish. The ride through the archipelago will be beautiful. I sang in college choir next to Jon Hurty. He and I actually stood next to one another in the baritone section. Enjoy! Thanks so much for all these great pictures and pieces of information. The tour has been my favorite reading material and entertainment. Not sure how I’ll manage without it. I’ve loved reading about your trip and looking at all the pictures. Thanks for taking me with you in this way!